Maelstrom 8 Autostage, The Winner of TAIWAN EXCELLENCE 2019 in Health and Precision Instrument Category-Taiwan Advanced Nanotech Inc.
Taoyuan, Taiwan, Oct. 25, 2018 /News Release/ -- Maelstrom 8, an automation nucleic acid extractor manufactured by TAIWAN ADVANCED NANOTECH INC., is the Winner of Taiwan Excellent Award 2019. Maelstrom 8 Autostage is using a patented whirl stir technology to mix magnetic beads for DNA/RNA extraction. It has 8 throughputs and it is the smallest automated system in the market. With the intuitive user interface and simple steps for operation, Maelstrom 8 Autostage can help users to complete various applications with consistent test results in less time. In contrast to conventional pipetting and up-and-down plunging magnetic bead handlers, the features of the patented whirl stir technology enables to increase mixing efficiency, avoid human error and the aerosol cross-contamination. Maelstrom 8 Autostage provides a walk-away solution for researchers and laboratories. The Taiwan Excellence Awards were established by the Ministry of Economic Affairs in 1993. Every year, eligible candidates are subjected to a rigorous and stringent selection system that covers four major aspects of “R&D”, “Design”, “Quality” and “Marketing” to identify outstanding products that offer “Innovative Value” while satisfying the key criterion of being “made in Taiwan”. Products that have been selected for the Taiwan Excellence Awards would serve as examples of the domestic industries and be promoted by the government in the international market in an effort to shape the creative image for Taiwanese businesses. 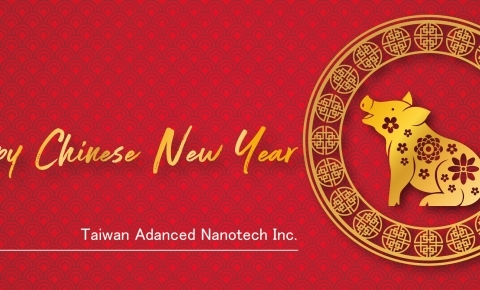 Established in 2004, Taiwan Advanced Nanotech Inc(TANBead) is a GMP and ISO 13485 certified manufacturer. TANBead provides the total solution for nucleic acid extraction including reagent kits, magnetic nanoparticles, and automated extraction instruments. All products are FDA and CE approved, and the patents are granted in the EU, USA, Canada, Korea, Japan, China, and Taiwan. TANBead acquired funding from JAFCO ASIA and venture capital of E.SUN Financial Holding Co., Ltd.